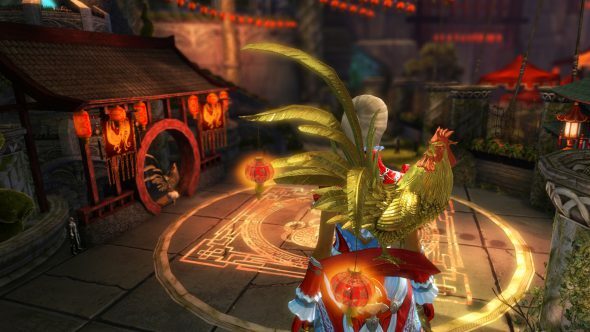 Guild Wars 2>News>Happy Lunar New Year! Every year, Tyrians gather to celebrate the Canthan tradition of Lunar New Year in Divinity’s Reach. Visit the Crown Pavilion today to play Dragon Ball, and open Divine Lucky Envelopes for treats and good fortune!